The Grilled (Gouda) Cheese Challenge! We are excited to be entering a sandwich in this year’s Grilled Cheese Challenge – “The New Glaswegian” featuring Cheeselady’s gouda and artisanal bread from our wood-fired oven. Please come by and visit the Glasgow Glen booth! Come celebrate Canadian cheese at this outdoor event hosted by Dairy Farmers of Canada and the PEI Association of Chefs and Cooks. 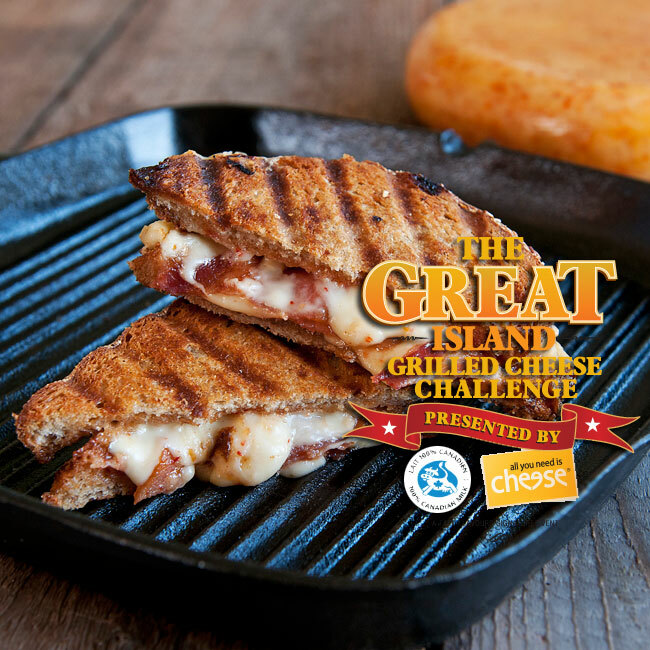 PEI’s top chefs compete for the title of the Island Grilled Cheese Champion. Sample them all and pick your favourite. Meet local cheese makers and sample their cheeses. Our special guest is Food Network’s Chef Anna Olson. She’ll be cooking up a cheesy dessert inspired by Prince Edward Island cheese. Come out and meet Anna Olson and sample her cheesy dish.